How can you escape the tangled web of technical debt? Truly-Unified Commerce requires Unified Transaction Logic™. In retail, providing a pain-free and pleasant customer journey is more important than ever before. In the shadow of global giants, retailers are facing a choice: evolution or extinction. Despite this, many retailers remain tangled in a web of technical debt that’s holding them back. They are stuck relying on costly service from half a dozen or more technology vendors. They have outsourced management of their point of sale, store data, loyalty programs, e-commerce, and back office tasks — none of it relying on the same software. “Unified Commerce” is a popular buzzword in the retail industry, but it’s also a term that’s frequently misapplied. Instead of an elegant, easily-accessible, holistic experience, enterprise executives are discovering that they are trapped with piecemeal-built platforms that resemble Frankenstein’s Monster. Is there no escape? Have no fear. 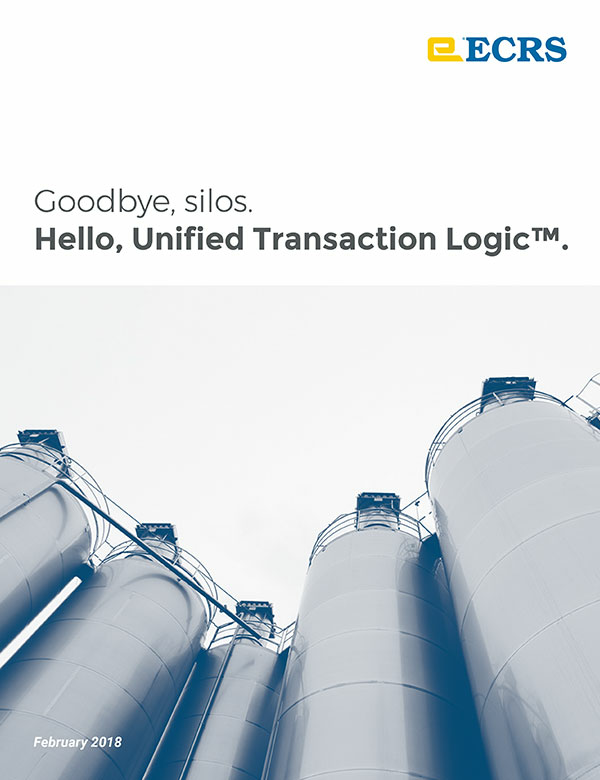 Unified Transaction Logic™ is here.